On the rises surrounding Varazze, a few kilometres from the sea, you will have the chance to go back in time for a little while and discover important prehistoric testimonies relative to the Beigua territory. The itinerary we propose includes three different sites. The first option suggests a visit to the Archaeological site in Fenestrelle, that can be reached by taking the left detour on the street that leads from Varazze to Alpicella, just before you get to the village. 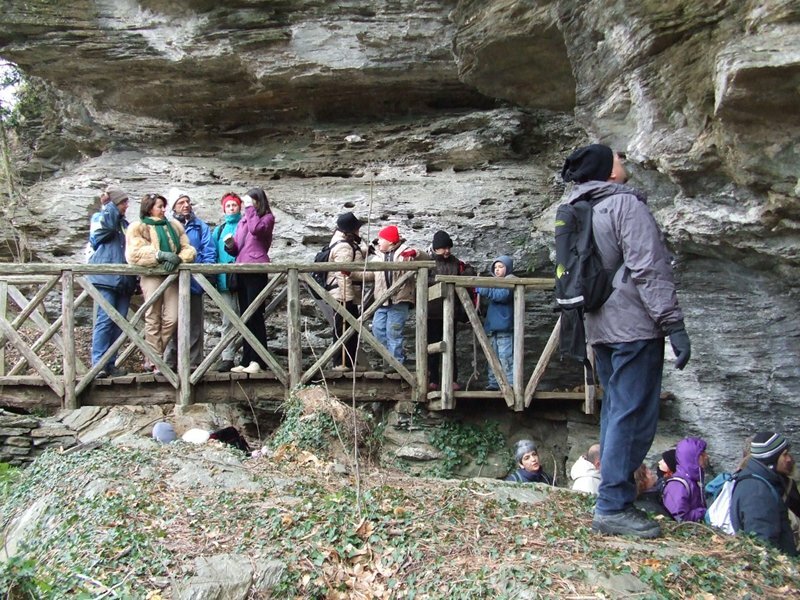 Follow the trail marked with a red “D” and in less than half an hour you will arrive to a wooden corral that bounds an overhanging stone wall... the “Riparo sotto Roccia” (Shelter Beneath a Stone). This site has returned many archaeological finds over the years following its discovery. Among these finds, are several “square mouth” jars, characteristic of the Middle Neolithic (4700 - 3700 B.C. ), “quadrilobe mouth” jars (practically exclusive of the Finale area) and a bronze brooch that testifies that the “Shelter” was used throughout the Bronze Age. All this, as well as the geological and geomorphological context of the times when the Neolithic man inhabited these areas, is well documented in the second site we recommend, the Permanent Archaeological Exhibition, located by the small hamlet of Alpicella (398 m.s.l. ).